We have teamed up with a select few individuals who share our passion for exceptional service, culinary and cultural adventures and doing things a bit off the beaten path. Once abroad, we’ve made sure you’ll have excellent (and expert) company on your trip. We are pleased to introduce you to our travel partner CHEVIAGGI. 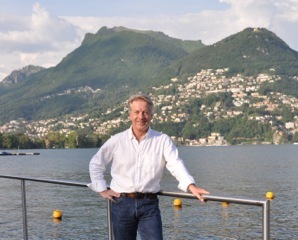 CHEVIAGGI is owned and operated by Claudio Hermani – a man of great wit and charm. CHEVIAGGI has partnered with us for our trips to Portugal, Germany, Italy, Switzerland and Catalonia. 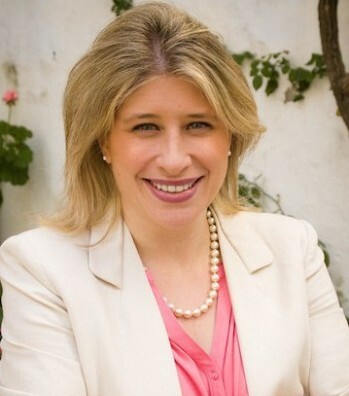 We are thrilled to introduce you to our travel partner Sarah Gemba with Spain Savvy. Sarah has over ten years of experience in the travel industry, with a primary focus on group travel in Spain, Portugal and Morocco. She is Italian-American (from Boston) yet Spanish in spirit – lucky for us. Thanks to Sarah’s expertise, she has help develop an incredible culinary trip to Southern Spain with Epicurean Travel. When Sarah was just ten years old, she got on a plane all by herself to visit a friend in Guadalajara, Mexico where she fell in love with the Spanish language, the Hispanic culture and everything related to traveling and exploring the world. Years later, she found herself in Seville, Spain as part of her college study abroad program. After graduating from Connecticut College with a Bachelor of Arts degree in Hispanic Studies, she decided to make a permanent move back to Seville. Sarah pours her heart and soul into her work and is thrilled to share her passion for her adopted homeland. An unapologetic foodie, art museum junkie and history buff, ask her where to eat tapas in Seville or where her favorite corner of Madrid hides, and she’ll be more than happy to oblige with the very best recommendations. As a mother of three small, bilingual children, Sarah is also a wonderful resource for Euro family travel and we could not be more excited to have her on board! Serkan Ozabaci has been involved in the travel and leisure industry for over a decade. He is passionate about Turkey and brings a wealth of knowledge to our guests. Serkan will guide us through the rich history of Istanbul, where one city spans two continents. He is interested in music, theater, sports, and politics. 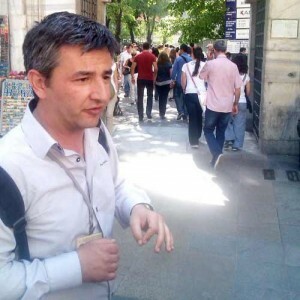 Here is a picture of Serkan Ozabaci, tour guide for Epicurean Travel in Turkey. Daniel Salaguero is our wonderful travel partner in Guatemala. Daniel ensures that our guests have everything they need to have the best travel experience. 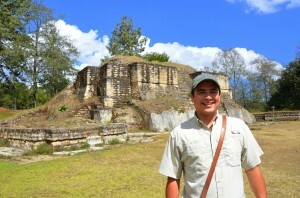 Daniel’s passions include exploring Guatemala and understanding the adventures of traveling. Upon graduating from University he moved to Lake Atitlan where he spends his considerable energies showing people the wonders of Guatemala and ensuring that our travelers feel that Guatemala is their second home. This is one reason why Daniel earned the nickname of the, “Guatemalan Connection.” He knows everyone….has been everywhere in the country…and is proud to help travelers see and experience the land, people, culture and food of his beloved country.